Lorraine Marie Lucile Bisson was born on July 23, 1942 to Yvonne and Wilfred Bisson in Palmarolle, Quebec. In her early years, the Bisson family moved from Quebec to a farm just outside of Guy, Alberta. Lorraine attended the University of Alberta to become a teacher. She spent one year teaching in her home community of Guy, followed by two years of teaching in Fort Resolution in the Northwest Territories (NWT). It was here that she met her husband Walter and they were married in August, 1967. For the next three years, Lorraine and Walter taught in Fort Simpson, NWT. From here, they moved to Saskatoon where Lorraine took university courses and gave birth to their son Warren in 1970. They relocated to the small farming community of Aylsham, Saskatchewan where they taught for 2 years before moving Nipawin, Saskatchewan where they would spend the next 38 years of their lives. It was during these years that they gave birth to their daughter Natasha in 1977 and met many good friends. 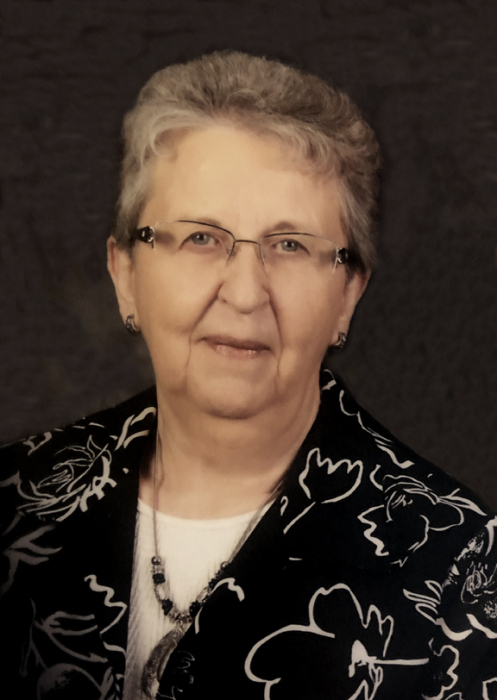 Lorraine taught elementary grades in both Wagner and Alex Wright elementary schools and was instrumental in establishing the French Immersion program in the community. Lorraine was very dedicated to her faith and was involved in the CWL and the music ministry as choir director at St. Eugene’s Parish for many years. Lorraine retired after 30 years of teaching in June 1997. Lorraine and Walter decided to move to Wetaskiwin, Alberta in June 2012 to be closer to their children and grandchildren and have remained here ever since. Lorraine once again devoted much of her time in the music ministry and CWL at Sacred Heart Parish. Lorraine and Walter celebrated their 50th wedding anniversary in August 2017. Lorraine is survived by her husband Walter, son Warren (Fiona), daughter Natasha (Jason) and her 6 grandchildren - Logan, Dylan, Liam, Hannah, Marissa, and Joshua. She is also survived by her brother Raymond Bisson, and sisters Evelyn Reese, Louisa Lacasse and Fernande Campbell. Lorraine will always be remembered for her kindness, compassion, and generosity towards others, her strong work ethic, her devotion to her faith, her love of music, and her love of family. A Funeral Mass will be held on April 5, 2019 at 10:30 a.m. at Sacred Heart Church in Wetaskiwin, Alberta. In lieu of flowers, donations can be made to the Wetaskiwin Health Foundation - Palliative Care, or the Alberta Cancer Foundation.